3. Click the red Settings icon and select the Search option from the list. 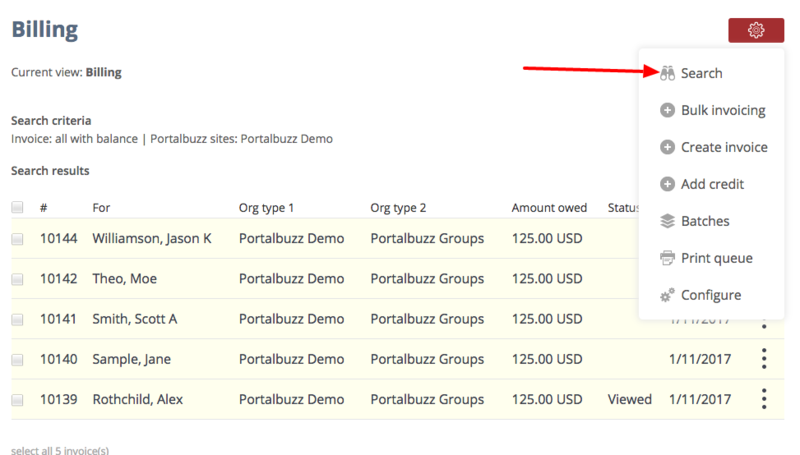 Note: The Portalbuzz search allows you to search pulling from various elements in the database. When starting a search, you first define how you will search and then narrow the search by defining the information you need. B. Click the arrow to view all the available search terms. C. Select Statement: <all, all with balance, all with past due invoices>. D. Choose additional parameters to filter your search. E. Click the Search button. If you need to view, print or email a single statement, find the member and click the three dots icon to the right. From the drop-down menu choose view, print or email. The system creates a pdf file that can be saved and printed. 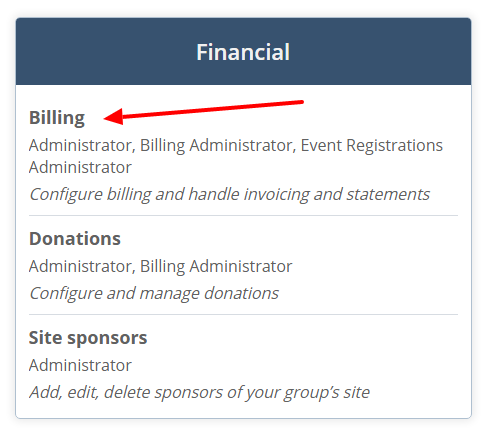 If you need to email or print several statements, click the box to the left of each member. At the bottom of the page, click Email Selected or Print Selected. If you need to generate an excel copy of the statements, click the Export All button.